On the surface, the intention was to make Piazza Cittadella a space that could be used as a meeting point and a place to stop. ‘Light 106’ were chosen for lighting and furnishing purposes. On the edge of the square, we used high posts with two swan neck brackets, and ‘Light 23’. The square’s design did a good job of integrating the existing architecture built in previous centuries. 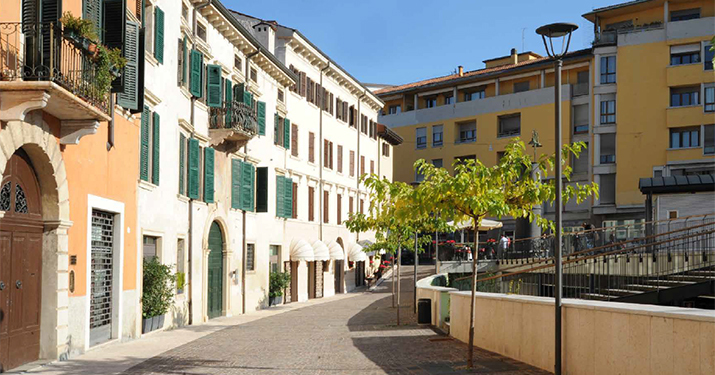 Piazza Cittadella in Verona, like many other squares in Italy, was used for decades as a parking area. 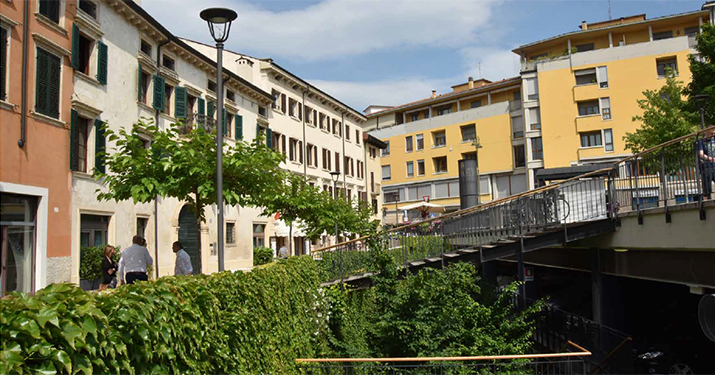 Its position has always been strategic since it is next to the walls and very close to Piazza Bra and the Arena. The objective of the project was to create a multi-floor underground car park (3 floors) for a total of 750 parking spaces, and then to restore the piazza which had therefore been subtracted from vehicle use. 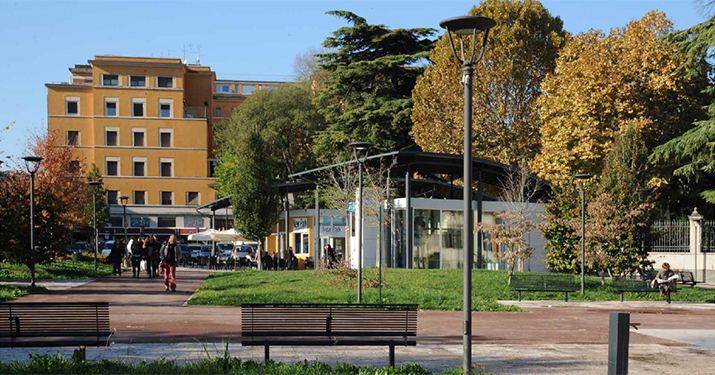 On the surface, the intention was to make Piazza Cittadella a space that could be used as a meeting point and a place to stop. 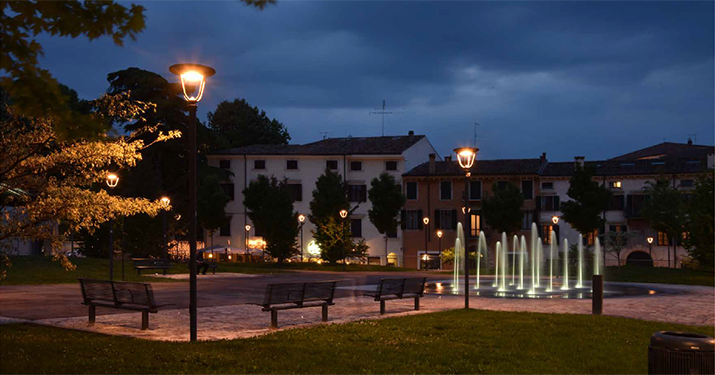 Large green spaces were created in the piazza, planted with trees and bushes, in addition to a ground level fountain. ‘Light 106’ with a 45W Cosompolis globe were chosen for lighting and furnishing purposes. 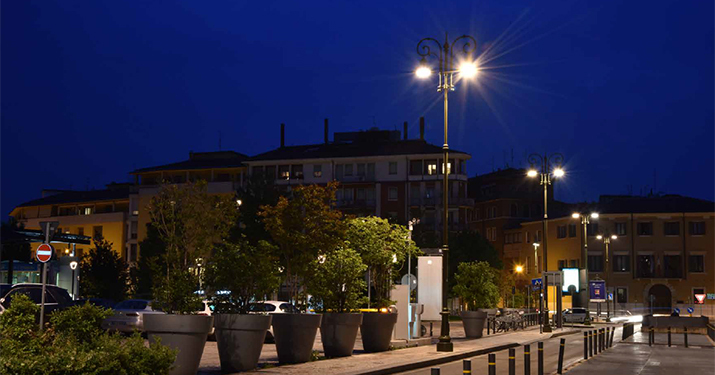 On the edge of the square, near the entrances to the car park, we used high posts with two swan neck brackets, and ‘Light 23’ with 140W Cosmopolis globe. 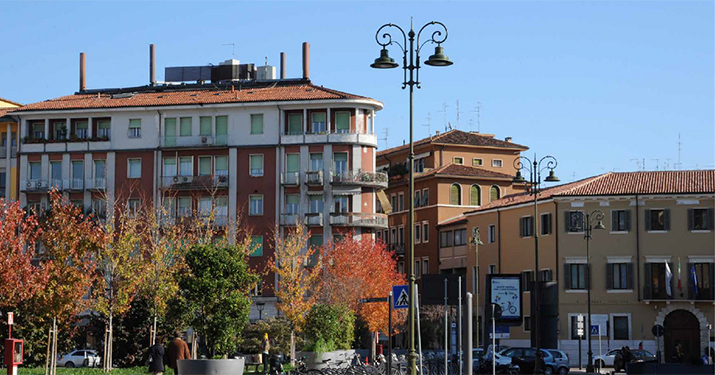 These are historical products, replicated to match the originals, typical of Verona and also found in other piazzas around the city, in the typical green colour used for cast iron posts in Piazza Bra and the Lungo Adige. The square’s design did a good job of integrating the existing architecture built in previous centuries, located at a lower level compared to the square, near the pedestrian exit from the car park. Different levels provide an unusual sense of ‘movement’ for a parking area, which instead is more commonly found in historical centres. Even a historical villa with its monumental gate overlooking the square fits into the overall effect, with paving in Lessinia stone and with the original posts that rival the trees in height.